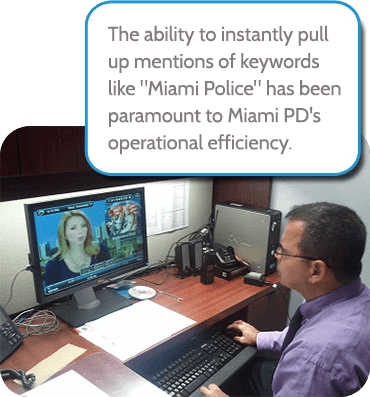 Thanks to SnapStream's efficient TV search technology, the Public Information Office (PIO) at the Miami Police Department now spends a mere fraction of its day monitoring television, as opposed to half of it. With this newfound free time, Miami PD has been able to re-allocate its staff and resources towards meaningful community programs, like Teddy Bear Patrol. Just thinking about it makes us feel all warm and fuzzy. When Napier Velazquez came on board as public relations specialist for the Miami Police Department in 2006, he expected to see cutting-edge technology in the Public Information Office. But what did he see? Four TiVos powering the department's entire TV monitoring operation. Prior to TiVo, VCRs ruled the process. The PIO recorded 20 hours of news per day across eight different local and national channels. Since VHS tapes were switched out three times a day, they stockpiled quickly and had to be stored off-site. 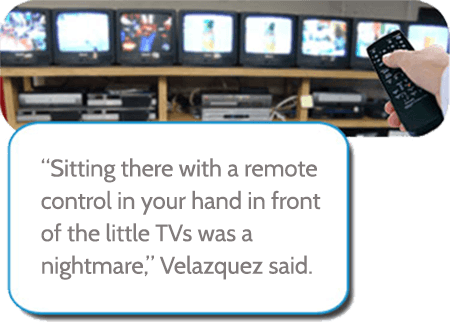 “Sitting there with a remote control in your hand in front of the little TVs was a nightmare,” Velazquez said. Even once TiVo was introduced, the public information officers still had to conduct manual, minute-by-minute review of the footage, spending greater than four hours every day searching and archiving their media appearances and department mentions. Plus, it proved difficult to extract the desired content (i.e. make a clip) from TiVo, which could only retain a few days' worth of news video anyway. The PIOs would have to routinely purge content onto DVDs to make room for incoming broadcasts, which only led to more pain points with TV archival and retrieval. Miami PD wanted something that was the opposite of labor-intensive and tedious. With its turnkey nature and unparalleled TV search technology, SnapStream fit the bill. In March 2010, the PIO deployed a 10-channel SnapStream SD to manage all of its simultaneous recording jobs. They made the capital expenditure for technology improvement with JAG (Justice Assistance Grant) funding. Now, the department can save important footage longer with the capacity to archive up to 3,000 hours of TV content on SnapStream's RAID-5 storage, built for high data reliability and peak performance. All of Miami PD's public information officers can log into SnapStream from the Web interface. Information that was once locked away inside tapes and CDs has now become digitally accessible and searchable. 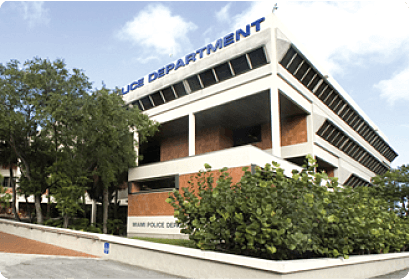 The ability to instantly pull up mentions of keywords like “Miami Police” and the names of the individual PIOs has been paramount to the department's operational efficiency. With more time on their hands and a solid grip on real-time news, Miami PD's three sworn public information officers have enjoyed the bandwidth to perform their media-related duties, and then some. The TV monitoring process, which previously took over four hours out of each officer's day, now takes only a matter of minutes with SnapStream. 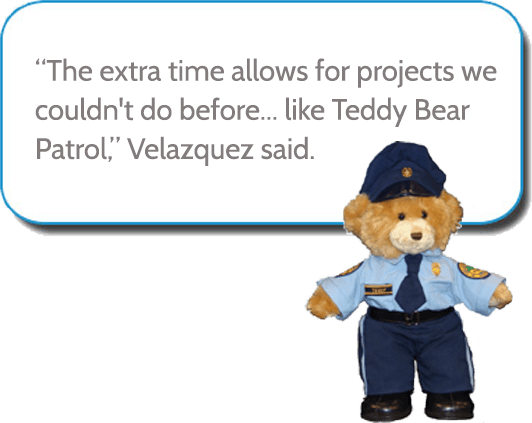 “The extra time allows for projects we couldn't do before... like Teddy Bear Patrol,” Velazquez said. “The extra time allows for projects we couldn't do before, like putting out positive stories to the media, running public service campaigns and growing community projects,” Velazquez said. As an example, Velazquez cites the Teddy Bear Patrol, a program which collects teddy bears and stuffed animals for officers to keep in their squad cars and hand out to children involved in domestic violence. Due to the increased involvement of the PIOs, awareness of the program has spread dramatically, generating warm reception and goodwill in the Miami community. SnapStream has also helped slim the department's budget, nixing DVD and CD costs by way of flash drives and e-mails. What once was a dreaded chore for many of Miami PD's public information officers, is no more. Formed in 1896, the Miami Police Department employs over 1,100 sworn officers and 300 civilians, providing law enforcement and criminal justice functions to the city of Miami. Miami is an internationally recognized tourist destination and business hub with an estimated daytime population of one million people. Reporting directly to the Chief of Police, the Public Information Office serves as the liaison between the Department and the members of the local, national and international media. Based out of Houston, SnapStream has been making TV recording and monitoring products for over a decade. Organizations at all levels of government such as The US Senate, State Assembly of New York, the City of Austin the Houston PD and several hundred more use SnapStream to keep track of TV mentions.